1. Арутюнян С.С., Савенкова Н.Д., Ларионова В.И. Aутосомно-доминантный поликистоз почек у взрослых и детей //Нефрология. - 2010. - №. 3. - С. 58-68. 2. Belz M.M. et al. Familial clustering of ruptured intracranial aneurysms in autosomal dominant polycystic kidney disease //American journal of kidney diseases. - 2001. - Т. 38. - №. 4. - С. 770-776. 3. Belz M.M. et al. Recurrence of intracranial aneurysms in autosomal-dominant polycystic kidney disease //Kidney international. - 2003. - Т. 63. - №. 5. - С. 1824-1830. 4. Chauveau D. et al. Intracranial aneurysms in autosomal dominant polycystic kidney disease //Kidney international. - 1994. - Т. 45. - №. 4. - С. 1140-1146. 5. Chapman A.B. et al. Intracranial aneurysms in autosomal dominant polycystic kidney disease //New England Journal of Medicine. - 1992. - Т. 327. - №. 13. - С. 916-920. 6. Craig R.G., Hunter J.M. Recent developments in the perioperative management of adult patients with chronic kidney disease //British journal of anaesthesia. - 2008. - Т. 101. - №. 3. - С. 296-310. 7. Ecder T., Schrier R.W. Cardiovascular abnormalities in autosomal-dominant polycystic kidney disease //Nature Reviews Nephrology. - 2009. - Т. 5. - №. 4. - С. 221-228. 8. El Nahas A.M., Bello A.K. Chronic kidney disease: the global challenge //The Lancet. - 2005. - Т. 365. - №. 9456. - С. 331-340. 9. Fick G.M. et al. Causes of death in autosomal dominant polycystic kidney disease //Journal of the American Society of Nephrology. - 1995. - Т. 5. - №. 12. - С. 2048-2056. 10. Gibbs G.F. et al. Follow-up of intracranial aneurysms in autosomal-dominant polycystic kidney disease //Kidney international. - 2004. - Т. 65. - №. 5. - С. 1621-1627. 11. Gieteling E.W., Rinkel G.J.E. Characteristics of intracranial aneurysms and subarachnoid haemorrhage in patients with polycystic kidney disease //Journal of neurology. - 2003. - Т. 250. - №. 4. - С. 418-423. 12. Gradaus F. et al. Angiographic progression of coronary artery disease in patients with endstage renal disease //Nephrology Dialysis Transplantation. - 2001. -Т. 16. -№. 6. -С. 1198-1202. 13. Griffin M.D. et al. Vascular expression of polycystin // Journal of the American Society of Nephrology. - 1997. - Т. 8. - №. 4. - С. 616-626. 14. Helal I. et al. Prevalence of cardiovascular events in patients with autosomal dominant polycystic kidney disease //American journal of nephrology. - 2012. - Т. 36. - №. 4. - С. 362-370. 15. Huston J. et al. Follow-up of intracranial aneurysms in autosomal dominant polycystic kidney disease by magnetic resonance angiography //Journal of the American Society of Nephrology. - 1996. - Т. 7. - №. 10. - С. 2135-2141. 16. Irazabal M.V. et al. Extended follow-up of unruptured intracranial aneurysms detected by presymptomatic screening in patients with autosomal dominant polycystic kidney disease //Clinical Journal of the American Society of Nephrology. - 2011. - Т. 6. - №. 6. - С. 1274-1285. 17. Jiang T. et al. A follow-up study of autosomal dominant polycystic kidney disease with intracranial aneurysms using 3.0 T three-dimensional time-of-flight magnetic resonance angiography //European journal of radiology. - 2013. - Т. 82. - №. 11. - С. 1840-1845. 18. London G.M. The clinical epidemiology of cardiovascular diseases in chronic kidney disease: Cardiovascular Disease in Chronic Renal Failure: Pathophysiologic Aspects //Seminars in dialysis. - Blackwell Science Inc, 2003. - Т. 16. - №. 2. - С. 85-94. 19. Mariani L. et al. Cerebral aneurysms in patients with autosomal dominant polycystic kidney disease-to screen, to clip, to coil? //Nephrology Dialysis Transplantation. - 1999. - Т. 14. - №. 10. - С. 2319-2322. 20. Neumann H.P.H. et al. Characteristics of intracranial aneurysms in the else kmner-fresenius registry of autosomal dominant polycystic kidney disease //Cerebrovascular diseases extra. - 2012. - Т. 2. - №. 1. - С. 71-79. 21. 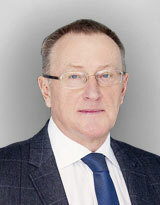 Niemczyk M. et al. Intracranial aneurysms in autosomal dominant polycystic kidney disease //American Journal of Neuroradiology. - 2013. - Т. 34. - №. 8. - С. 1556-1559. 22. Obrador G.T., Pereira B.J. Systemic complications of chronic kidney disease //Postgrad Med. - 2002. - Т. 111. - С. 115-22. 23. Palevsky P.M. Perioperative management of patients with chronic kidney disease or ESRD //Best Practice & Research Clinical Anaesthesiology. - 2004. - Т. 18. - №. 1. - С. 129-144. 24. Pirson Y., Chauveau D., Torres V. Management of cerebral aneurysms in autosomal dominant polycystic kidney disease //Journal of the American Society of Nephrology. - 2002. - Т. 13. - №. 1. - С. 269-276. 25. Rang S.T. et al. Anaesthesia for chronic renal disease and renal transplantation //eau-ebu update series. - 2006. - Т. 4. - №. 6. - С. 246-256. 26. Rinkel G.J.E. et al. Prevalence and risk of rupture of intracranial aneurysms a systematic review //Stroke. - 1998. - Т. 29. - №. 1. - С. 251-256. 27. Romra E.A. et al. Renal and extrarenal manifestations of autosomal dominant polycystic kidney disease //Brazilian journal of medical and biological research. - 2006. - Т. 39. - №. 4. - С. 533-538. 28. Rossetti S. et al. Association of mutation position in polycystic kidney disease 1 (PKD1) gene and development of a vascular phenotype //The Lancet. - 2003. - Т. 361. - №. 9376. - С. 2196-2201. 29. Rossetti S., Harris P.C. The genetics of vascular complications in autosomal dominant polycystic kidney disease (ADPKD) //Current hypertension reviews. - 2013. - Т. 9. - №. 1. - С. 37. 30. Salifu M.O., Otah K.E. Perioperative management of the patient with chronic renal failure. - 2011. 31. Schrier R.W. et al. Repeat imaging for intracranial aneurysms in patients with autosomal dominant polycystic kidney disease with initially negative studies: a prospective ten-year follow-up //Journal of the American Society of Nephrology. - 2004. - Т. 15. - №. 4. - С. 1023-1028. 32. The Renal Association. UK Renal Registry Report 2005. 33. Torres V.E. et al. Vascular expression of polycystin-2 //Journal of the American Society of Nephrology. - 2001. - Т. 12. - №. 1. - С. 1-9. 35. Xu H.W. et al. Screening for intracranial aneurysm in 355 patients with autosomal-dominant polycystic kidney disease //Stroke. - 2011. - Т. 42. - №. 1. - С. 204-206. 36. Yanaka K. et al. Management of unruptured cerebral aneurysms in patients with polycystic kidney disease // Surgical neurology. - 2004. - Т. 62. - №. 6. - С. 538-545. 37. Yoo D.J. et al. Risk of intracranial hemorrhage associated with autosomal dominant polycystic kidney disease in patients with end stage renal disease //BMC nephrology. - 2014. - Т. 15. - №. 1. - С. 39. Колотвинов В.С., Марченко О.В., Рудник Е.Н., Назаров А.В., Шамов А.Ю., Страхов А.А., Полтавец А.В. ДИАГНОСТИКА И ТАКТИКА ЛЕЧЕНИЯ ИНТРАКРАНИАЛЬНЫХ АНЕВРИЗМ У ПАЦИЕНТОВ С АУТОСОМНО-ДОМИНАНТНЫМ ПОЛИКИСТОЗОМ ПОЧЕК. Нейрохирургия. 2016;(4):78-84.